Toons Take It Out On Us! Now here’s something kinda different: Toons go meta. Oni Press has announced that Rascal Raccoon’s Raging Revenge, a new full-color hardcover graphic novel, will be released in early December. Brendan Hay (of Robot Chicken fame) wrote the script, and Justin Wagner did the toony illustrations. Here’s the publisher’s description: “Welcome to Toonie Terrace, home of the fun-loving Merries and their jealous, bitter rivals, the Meanies. For all their shenanigans, no Meanie has ever murdered a Merrie… until now! After thousands of painful failed attempts, Rascal Raccoon has finally killed his arch-nemesis, the charming and adorable Jumpin’ Jackalope. Rascal is overjoyed, but there’s one problem: What does he do now? With nothing left to obsess over, Rascal’s life falls apart. 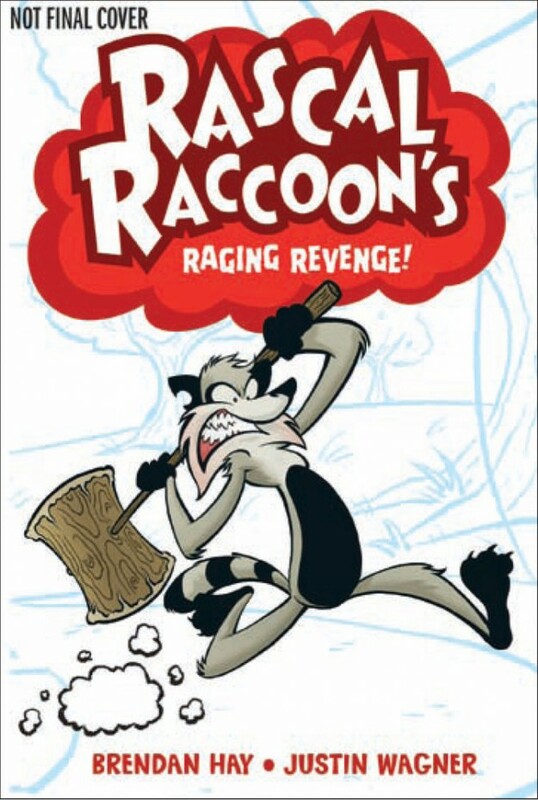 Fortunately, he soon finds a new target for his anger: The animator who created him!” Comic Book Resources has an on-line preview where you can see just what kind of havoc these toons create when they come looking for the humans who draw delight from their troubles! Word is out that Kung Fu Panda: Legends of Awesomeness, the long-awaited TV spinoff from Dreamworks’ Kung Fu Panda movies, will finally be coming to television on Monday, November 7th. It will premier on Nickelodeon at 5:30 pm, Eastern and Pacific time. First up will be a full week of brand new episodes every week day, followed by weekly new episodes on Friday nights starting December 2nd. 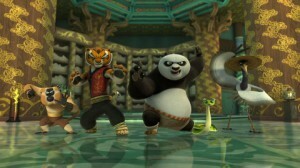 The series takes place in between the two Kung Fu Panda movies, following adventures of Po the Panda — also known as the Dragon Warrior — and the Furious Five, along with their mentor, the red panda Master Shifu. Several new characters and villains will be introduced as well. From the feature films, only Lucy Liu (Viper) and James Hong (Mr. Ping, Po’s adoptive father) reprise their roles; other voices are handled by the likes of Mick Wingert, Kari Wahlgren, Amir Talai, Max Koch, Fred Tatasciore, and James Sie. 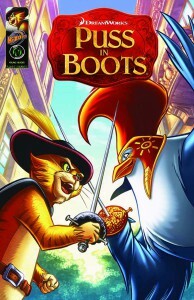 Cartoon Brew has a write-up directly from Dreamworks that has even more information. By the way: Kung Fu Panda 2 comes to DVD and Blu-Ray on December 13th. Though its performance was perhaps disappointing in the USA, around the world it is the #1 animated feature of the year, having taken in $664 million total. Which virtually assures that there will in fact be a Kung Fu Panda 3, as KFP2 surpassed Dreamworks’ self-imposed $500 million worldwide “magic number” for making a film into a franchise. 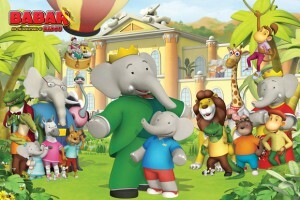 It seems amazing, but the fact is that this year Babar the Elephant is celebrating his 80th birthday. Yes, the paternal pachyderm first appeared in Histoire de Babar (The Story of Babar) by writer and illustrator Jean de Brunhoff in 1931. Since then there have been numerous books and more than one TV series — perhaps the most famous having been animated by Nelvana back in the 1980’s and 90’s. 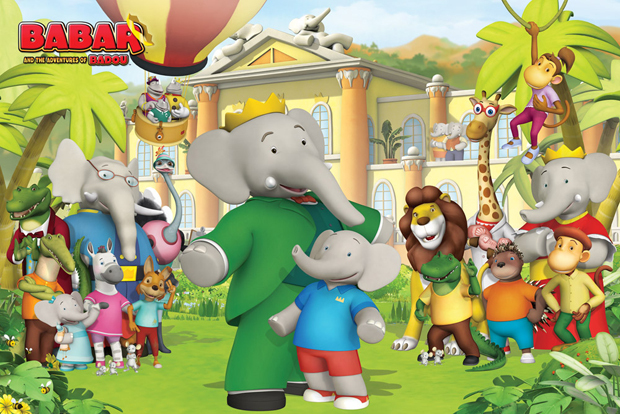 Now, to celebrate this new milestone, Nelvana has hooked up with The Clifford Ross Company to create numerous celebrations of the royal elephant in the famous green suit. Frankly, there’s too many to even describe here, so we’ll simply direct you over to Cartoon Brew’s handy News Feed, where you’ll find a detailed listing of it all. Are you a fan of Kaiju — giant monsters from Japan? Are you a fan of monster match-ups in glorious city-wrecking battles? 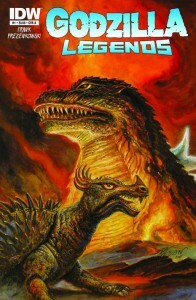 You might want to check out Godzilla Legends, a new full-color 5-issue mini-series from IDW, starting this November. Each issue will feature a self-contained stories of various monsters from the Godzilla universe taking on one another to the explosive end. In issue #1 (by Matt Frank and Jeff Prezenkowski), Anguirus — the spiny four-legged “perpetual underdog” of kaiju-dom — takes on one of the deadliest monsters of all, Destoroyah! 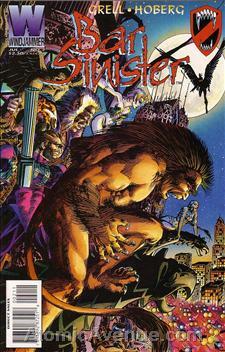 The first issue also features special variant covers by fantasy artist Bob Eggelton and comic book legend Art Adams.